My favorite color in the entire universe is W H I T E.
I am always obsessed with anything white, and for those who have seen my wardrobe, you would see lots of white outfit in there. White outfit can be too plain. But not when you know how to pair it with the correct accessories, with just a little bit of contrast, you can bring out the entire look nicely. White, black and gold are always a perfect match to each other. Each color complements others well. Hence, you'll never go wrong with these color together. When it come to watches, I find myself having not a watch that can match well with the special or formal event. Not this time, because I got myself the Whiteliner by Swatch. My Whiteliner from Swatch arrived safely and it comes in a huge transparent case. 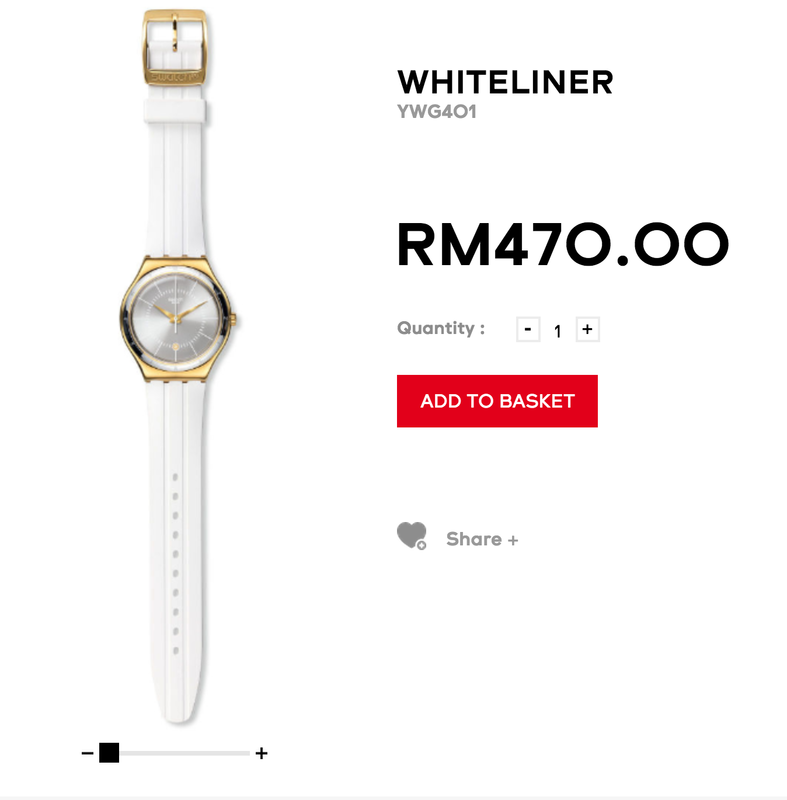 Do you know that you are now able to do online shopping on Swatch Malaysia site? You can expect the next day delivery when you place your order before 4pm. How awesome is that!? 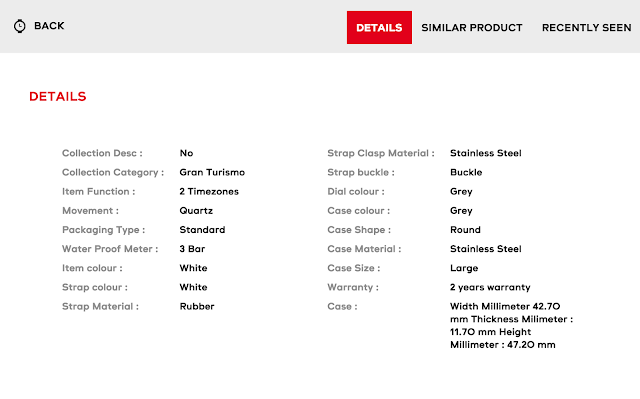 It's not difficult to place your order through Swatch Malaysia shopping site! I personally love the "Search by" feature that offer several options for you to look for your desired watch easily! As for me, I chose my watch by selecting "white" color to see what they have in store for me! 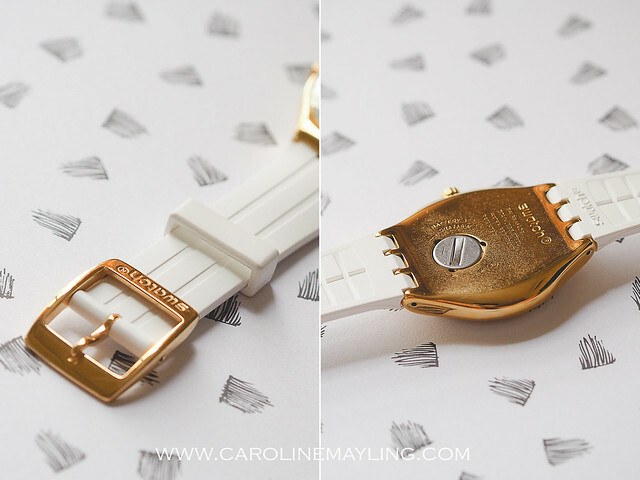 You can also view a sneak peek of the watches designs through "Watches" and also "Collections"! I also love the fact that whatever you see on the website is exactly what you will be getting! You can enlarge the picture to see every inch detail of the watch before you decided to purchase it. This totally makes your shopping experience better without guessing or probably upset with the difference of the look and feel when you received your order. You also able to read every single detail of the watch before you decided to place your order. I really love that this Whiteliner is white in color with gold detailing. This watch perfect for both casual and formal events. Whether you are wearing your favorite little black dress for that special event; in your cute jumpsuit; or even that strict office lady look; this watch can complement your look well. 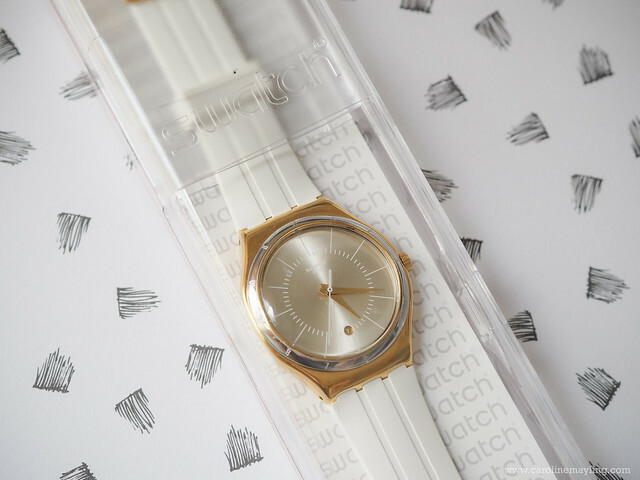 ps: Check out for more watches design at Swatch Online Store! 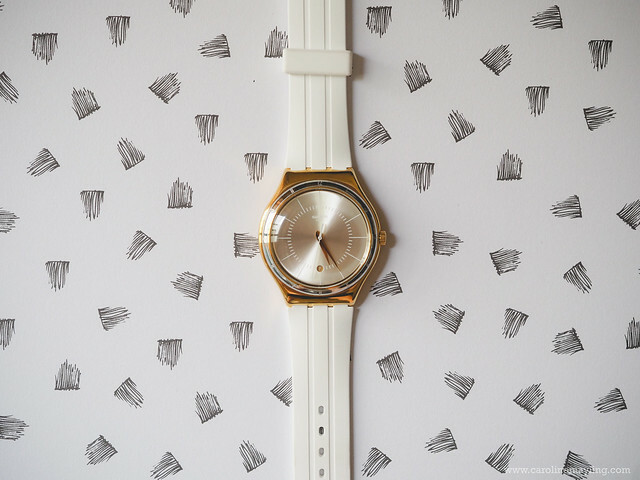 What a pretty watch! Nice choice :) My current watch is a Swatch, too! Unfortunately, I can't, for the life of me, pull off white colored clothes haha.